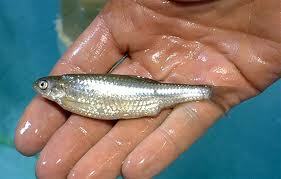 We handle a complete line of Live Bait. Minnows: suckers, blues, greys(spottails), perch blues, rosie reds, fatheads, wigglers, decoy suckers, and goldens. Buc’s Northern Michigan Fishing Report shared a post. The discount table is back and bigger than ever! We’ve pulled more old stock from storage and brought in thousands of new discontinued and close-out items. Everything under $5! Crank baits, spoons, spinners, plastics, crawler harnesses, weights, hooks, jigs and big lake gear can all be found at 25-90% OFF! Steven Taylor we should go fish white lake this week and hit this up! Today is forecast to be nearly the same temperature as yesterday. Snow tonight. Cloudy skies. High 16F. Winds light and variable. Snow during the morning will give way to lingering snow showers during the afternoon. High 24F. Winds light and variable. Chance of snow 80%. 1 to 3 inches of snow expected. Mostly cloudy skies. High 26F. Winds SW at 5 to 10 mph. Partly cloudy skies during the morning hours will become overcast in the afternoon. High 29F. Winds light and variable. Intermittent snow showers, especially early. High 23F. Winds NW at 10 to 15 mph. Chance of snow 50%. Snow accumulations less than one inch.